Sugar and spice and all things nice. 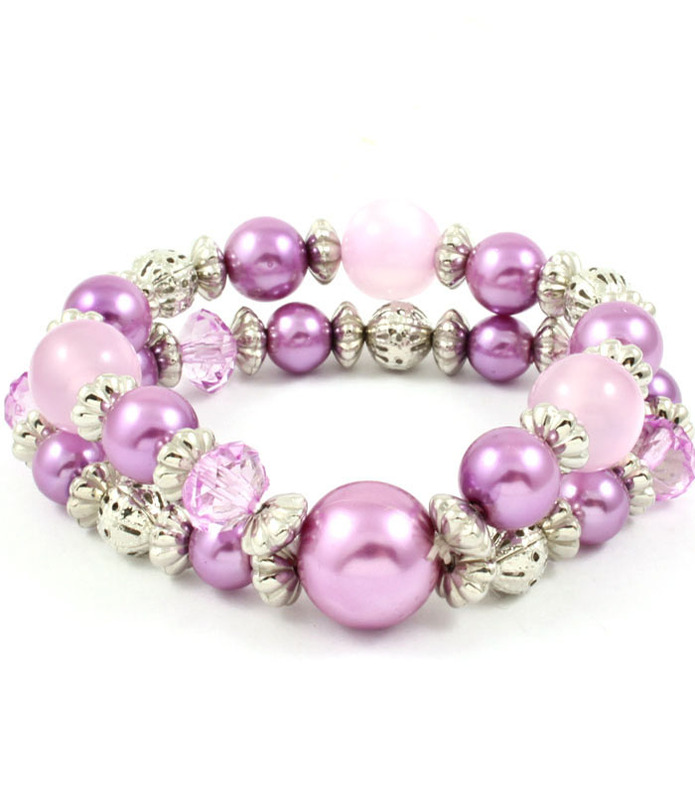 The Aurora is a double-loop weave bracelet on stretch featuring a mix of variegated lilac beads contrasted against silver spaces. Add for a soft touch. Add this beautiful piece of costume jewellery to your collection today.